Magnet Cryostat for High Energy Physics - Cryomagnetics, inc. The SPIRAL2 high energy physics project at France’s GANIL (Grand Accélérateur National d’Ions Lourds) laboratory will significantly extend the research possibilities of Radioactive Ion Beam (RIB) physics. Part of SPIRAL2 is the S3 (Super Separator Spectrometer), a device designed for experiments with very high intensity stable ion beams. 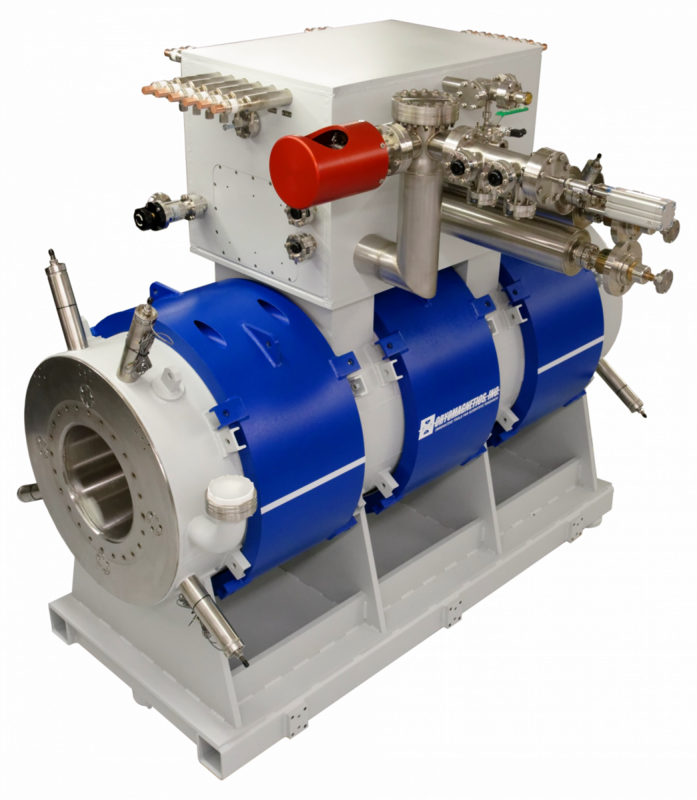 S3 requires seven (7) complex Superconducting Multipole Triplet (SMT) magnet systems. 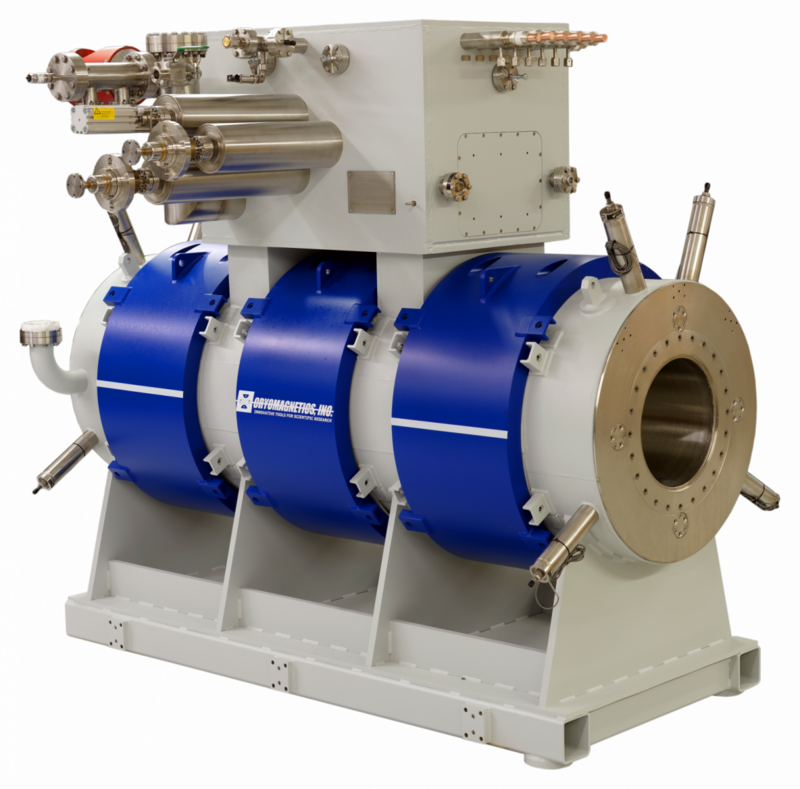 Each system is comprised of three sets of quadrupole, sextupole, octupole and dipole superconducting magnets. The prototype system will be further characterized by project collaborators at Argonne National Laboratory before being installed at the GANIL facility in Caen, France. Meanwhile, Cryomagnetics will be manufacturing the cryostats for the remaining 6 systems. Precision positioning of magnets inside cryostat. Magnets can be precisely aligned with respect to external fiducials. Challenging design due to high voltage quench protection requirements. High current HTS current leads (16 ea) minimize cryogen boil-off rates. 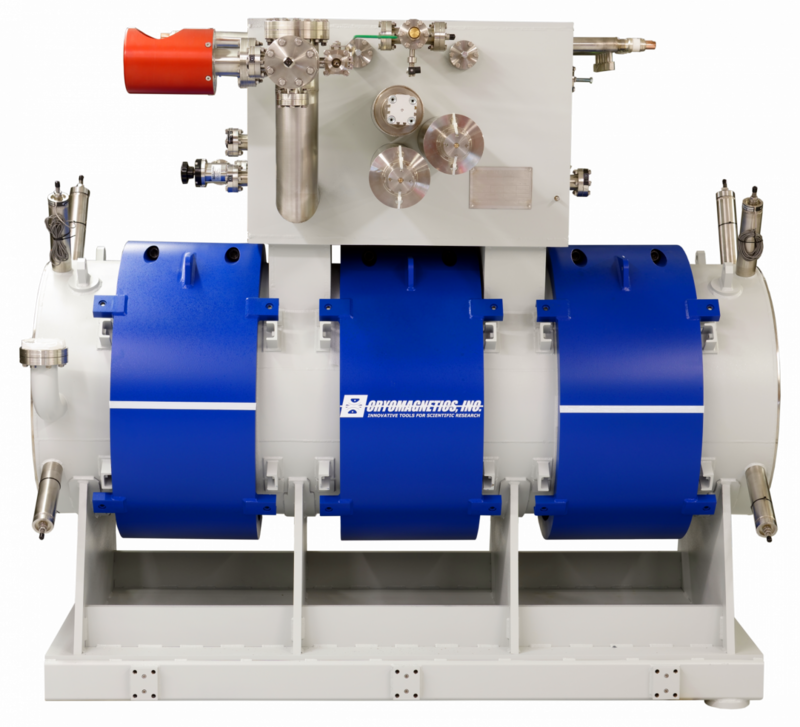 Integrates with customer’s helium and nitrogen refrigeration systems. Iron yokes on all magnets with integrated strain gauges.